Property LocationA stay at Frogner House Apartments - Skovveien 8 places you in the heart of Oslo, within a 5-minute drive of Royal Palace and Oslo City Hall. 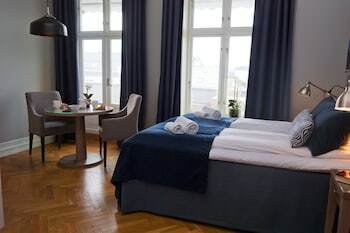 This 4-star apartment is 1.3 mi (2.1 km) from Parliament and 1.3 mi (2.1 km) from Karl Johan Street.RoomsMake yourself at home in one of the 57 guestrooms, featuring kitchenettes with refrigerators and stovetops. 26-inch flat-screen televisions with digital programming provide entertainment, while complimentary wireless Internet access keeps you connected. Conveniences include microwaves and coffee/tea makers, and you can also request cribs/infant beds (surcharge).AmenitiesMake use of convenient amenities such as complimentary wireless Internet access, concierge services, and discounted use of a nearby fitness facility.DiningContinental breakfasts are available daily for a fee.Business, Other AmenitiesFeatured amenities include express check-in, express check-out, and dry cleaning/laundry services. 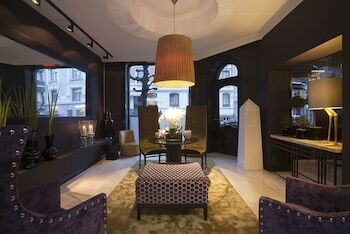 The one-stop site specializing in Oslo hotels and Oslo exclusive offers!